Entrance free for young children. Mornings from 11:00H to 14:00H. Afternoons de 17:00H to 19:00H. Closed Sundays afternoon from October 15 to March 15. Except big weekends and holydays. 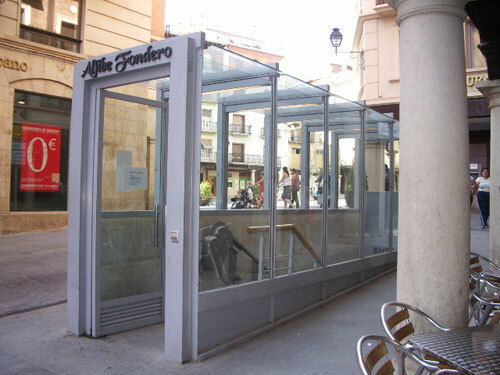 In Christmas and during the ‘Vaquillas del Angel’ we will be closed too. Access adapted for disabled people. The city of Teruel is like a prism, made up of different faces, texturas, styles, influences, secrets, and hidden treasures. 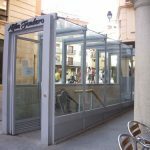 Teruel has got a lot of faces, as much as its previous inhabitants, so when you visit the city, you have to pay attention not only what it appears in front of your eyes, but also what you can find underground. Recently, it has been restored an old cistern which was began to be built in 1373. That construction was delayed because the city suffered several fights and wars which decreased human and material resources. When it was rebuilt, in 1375, twenty three casualties were taken. Why a cistern is made? A cistern construction is due to the necessity in storing rainwater when citizens are subjected to shortage or siege. Teruel is near the Turia riverbanks, but not next to it for defending reasons. As it was a border city. Teruel was founded at the top of hill. No rain sources can be found in the area and within the city walls no springs or wells to supply, so once the walls were rounded up, citizenship had to face death. Utility known, we will focus upon the way to be constructed. Cisterns should be made out of marble stone and all joints well tarred in order to prevent leakage. In a tidy atmosphere, cisterns were loaded by the upper side and drained through by the upper side and drained trough taps at the lower part. It is rather outstanding to observe from the interior how the loading opening by which the container is filled, is interacted by different ceramic jars as if a tube with hollowness walls to avoid floods when storms. Traditionally, the cistern has been used as water tank, but in civil war it was activated as a bombing shelter.